ALEKO's Wall-Mounted Folding Drop Leaf Table/Desk is designed with space efficiency in mind to provide a functional table area without using extra space. 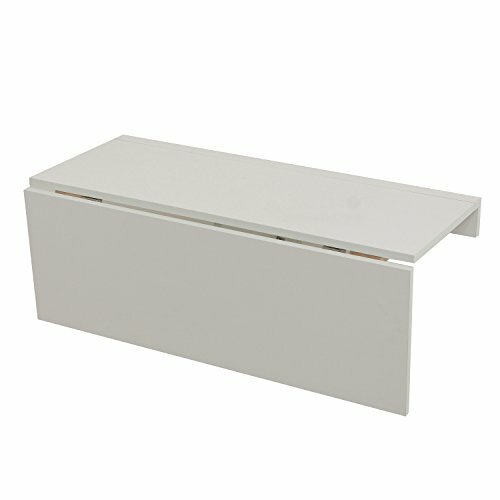 This folding table is perfect for small apartments, tiny living and minimalist aesthetics for its modular design; the sleek, antique white finish will flawlessly blend into any existing home decor. This kit requires a small amount of assembly and comes with the table in three pieces, including all necessary hardware and an instruction sheet to guide you through the process of mounting this folding table to the wall. This table is an excellent space-saving solution for working, eating, playing games, crafting, sewing and so much more.